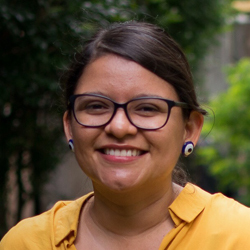 Cinthia Membreño is the digital strategy director of Confidencial, one of the few independent news outlets in Nicaragua. Currently based in Costa Rica, she works together with editorial, sales and institutional departments to develop new strategies that broaden the scope of the journalistic content, increase audience engagement and strengthen the brand, in order to achieve its business goals. Prior to this position, she worked as the editor of Niú, Confidencial’s culture, technology and lifestyle magazine, and as a freelance consultant in content marketing both in Nicaragua and Costa Rica.